It’s said that everything’s bigger in Texas. 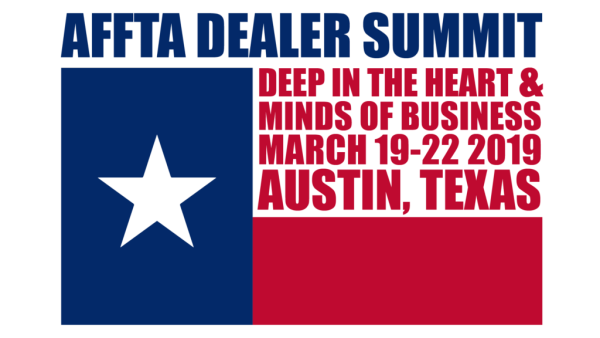 Well, if you join us at this year’s Dealer Summit in Austin, March 19 – 22, 2019, you’ll gain valuable insights into consumer motivation and decision-making, brand-positioning strategies and more that will make your bottom-line bigger as well, no matter where you call home. Marking our 5th year of hosting this valuable retail-focused event, we’re excited to be bringing you another dynamic and comprehensive line-up of seminars and roundtable discussions led by some of the best marketing, retail and business strategy minds in the industry. Don’t wait – register today to reserve your place! Are you a manufacturer looking to increase your retail visibility? Become a Dealer Summit sponsor today. Click here for details!